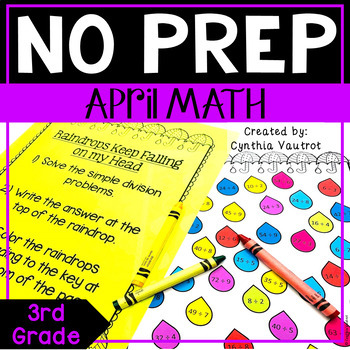 No Prep Math centers will keep your students on task, engaged and enjoying learning while making sure they are getting the necessary math skills as they complete spiral reviews of concepts each month throughout the year. No Prep Math Centers were created with the busy teacher in mind. My goal is to save you time by making lesson planning and setting up your centers a breeze as they are just print and go! Any required cutting is straight lines for simple and fast prep! Direction posters are included to put up at each center with explanations for the students to follow, which frees up more of your time. You will not need to spend time explaining how to complete the activities. Ten math centers are included in this unit with two bonus activities. Click on preview to see every page in this unit.